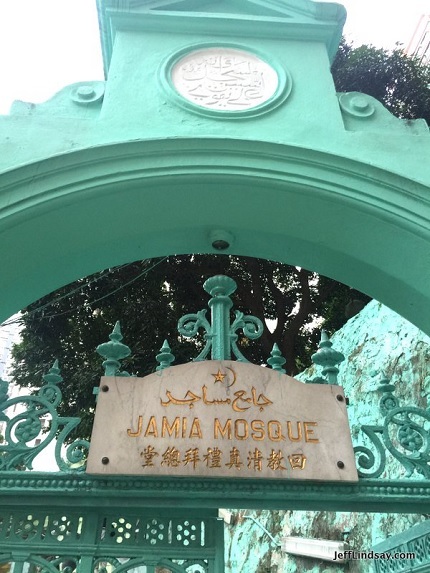 On Christmas day, I visited the Jamia Mosque in Hong Kong, and it was a highlight of my day. It was my youngest son's idea. It began with his desire to try the world's longest outdoor escalator system in the Mid-Levels section of Hong Kong, where many consecutive escalators allow you to scale a steep section of town that is loaded with interesting restaurants and shops. 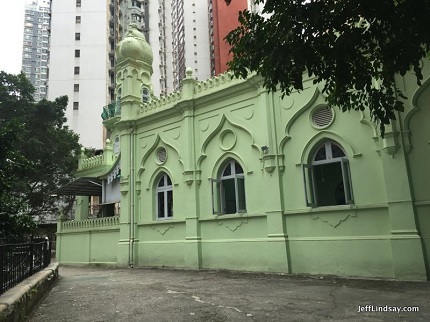 Along the way up, he saw a mosque and suggested we visit. 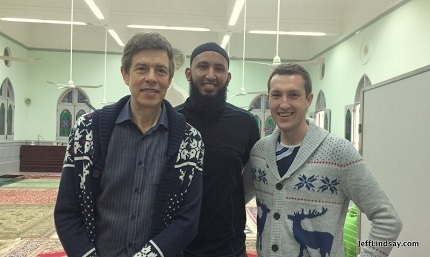 All of us were interested and hoped to learn a little more about an important world faith, so off we went. Inspired by a meaningful visit to the mosque, our next stop for food was at a great Moroccan restaurant just a short walk away. Some of the most delicious food I've had in a while, and given the abundance of great food in my part of the world, that's a pretty significant statement. What a fun way to celebrate the global Christmas holiday. Speaking of unusual twists on Christmas, take a look at this official government vehicle from the Communist Party of China. On Dec. 24, as we were at the Hongqiao Airport in Shanghai on our way to Hong Kong, I was touched by the abundant Christmas themes on display and the frequent use of the words "Merry Christmas"--not "Seasons Greetings," "Happy Holidays," or "Merry Xmas," but the greeting that sends frigid shivers up the spines of some folks because it reminds them that there is some kind of religious concept or religious figure that was once associated with Christmas, before it was fully incorporated (now owned as part of a joint venture between Amazon and Google). 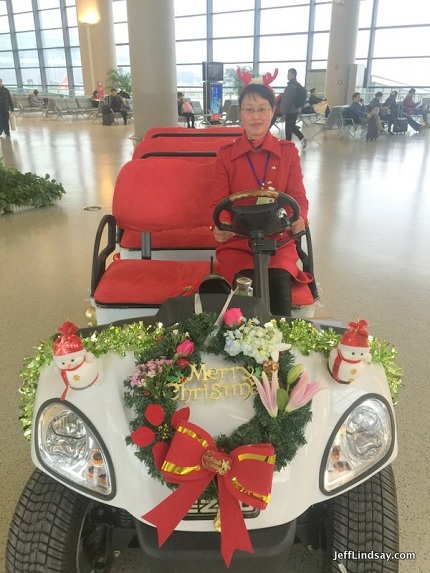 Fortunately, China's Communist Party, which owns and operates the airports and much more, apparently isn't afraid to spread a little authentic Christmas cheer. Here's a view of the passenger carts that scurry around the airport. Most adorable Communist Party ever! Just one of many interesting views we get at Christmastime in Asia. Hope you'll consider spending a Christmas here sometime. Best wishes, merry Christmas, and happy new year from Shanghai and Hong Kong!